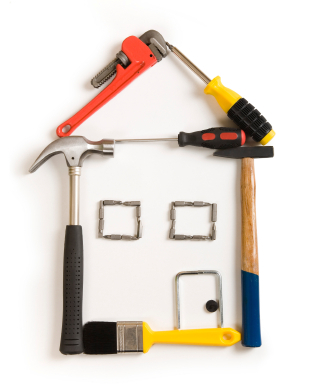 Sometimes an appraiser may call for repairs to be done on a home typically for safety reasons. In a seller’s market, like the greater Seattle area is experiencing, it’s not likely that the seller will agree to make the repairs. If the buyer has enough funds, they may be able to do an “escrow holdback”. An “escrow holdback” is when funds are heldback at closing to cover the estimated cost of the repairs. The buyer brings the amount of the holdback to escrow (or sometimes the lender) and the funds are held until after closing, when the work has been finished. Typically the home buyer needs to obtain bids from licensed contractors (sometimes a couple of bids) and provide them to the lender. The lender will then review the bids and determine how much funds will need to be held back at escrow. Mortgage Master Service Corporation holds back 1.5% times the amount of the bid. With an escrow hold back, the repairs need to be done fairly quickly after closing. We will typically allow up to 15 days for the work to be finished. The buyer will often need to provide invoices showing the repairs/work was paid in full. The appraiser is sent back to property to confirm the items he/she required to be repaired meet requirements. The appraiser will provide the lender with a report (often referred to as a 442) and the lender instruct escrow to disburse the funds to pay the contractors with any left over funds (less the cost of the 442, etc.) being returned back to the buyer. Not every type of repair works with an escrow holdback so it’s important that when this type of scenario comes to light (typically after an appraisal), that it’s dealt with promptly. I’m pleased that we are able to offer escrow hold-backs at our company when needed. If I can help you with your home purchase or refinance on property located in Washington state, please contact me!